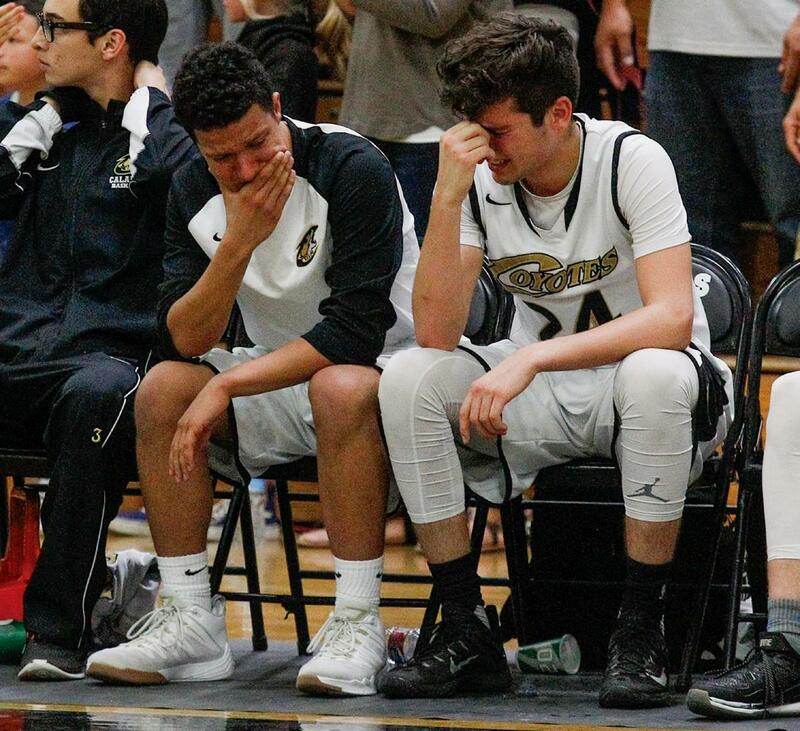 RAW EMOTION—The Calabasas High boys’ basketball team lost 67-56 to Bonita on Feb. 26 at home in the semifinals of the CIF-Southern Section Division 3AA playoffs. 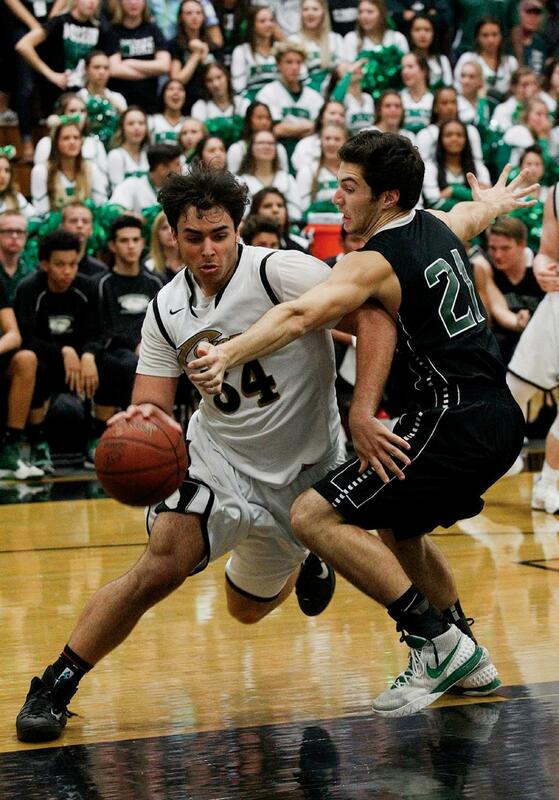 At left, Calabasas’ Kevin Seyedan drives to the hoop. Above, Coyotes Noah Fortson, left, and Zach Favaedi react after the loss. The Coyotes (24-7) earned an at-large berth to the state tournament, which tips off on Wed., March 9. Brackets will be released on Sunday.